THE book to learn about adopting a child. "Educational and empowering. No-nonsense, matter-of-fact advice while using a compassionate approach. "Showers the anxious parent with information on methods and resources for adoption." "A top adoption attorney reveals his insider strategies." "A must read. Every nuance in the world of adoption is explored and clearly explained. 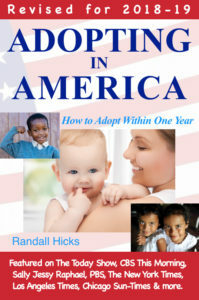 This book nails down the realities of how adoption works - and more importantly, how to succeed." "If you are considering adoption and you need a clear, concise guide that outlines your options, this is it." Independent adoption, also called direct, private or open adoption, is the most popular type of adoption selected for newborns in California. Usually, the birth mother and adoptive parents either became acquainted on their own, or met via a third party, like an adoption attorney. Although for many, many years I assisted in matching birth mothers and couples, I no longer handle newborn adoptions. So this information is simply to help you learn about the adoption process to which I dedicated so many years of my life. Please click here if you are instead seeking to know more about stepparent adoption, or plan to adopt an adult. In an independent adoption, the adoptive parents must go through a six month post-placement home study. This is done by the State Department of Social Services or a designated county agency, depending on the policy of the county in which you live. (For example, if you reside in Riverside, San Bernardino or Orange Counties, it is done by the State Department of Social Services, located in Monterey Park. Los Angeles County residents have their home study done by the Los Angeles County Department of Children and Family Services. San Diego County residents have theirs done by the San Diego County Health and Human Services Agency.) The services and cost of each entity is essentially the same. There is no requirement for a pre-placement home study (unless the baby is born out of California, in which case the Interstate Compact for the Placement of Children applies, requiring a pre-placement home study for most placements), but some families elect to voluntarily complete a pre-placement home study anyway. The home study fee is $4,500. This is reduced to $1,550 if the adoptive parents have a pre-placement home study meeting state guidelines. (Those pre-placement home studies, called Independent Adoption Pre-assessments, are done by licensed adoption agencies, even though the adoption will be a purely independent adoption. Most agencies usually charge about $2,500 for the pre-assessment, making the total home study fee approximately $4,000, so a savings of about $500 when compared to the usual full SDSS or county fee.) 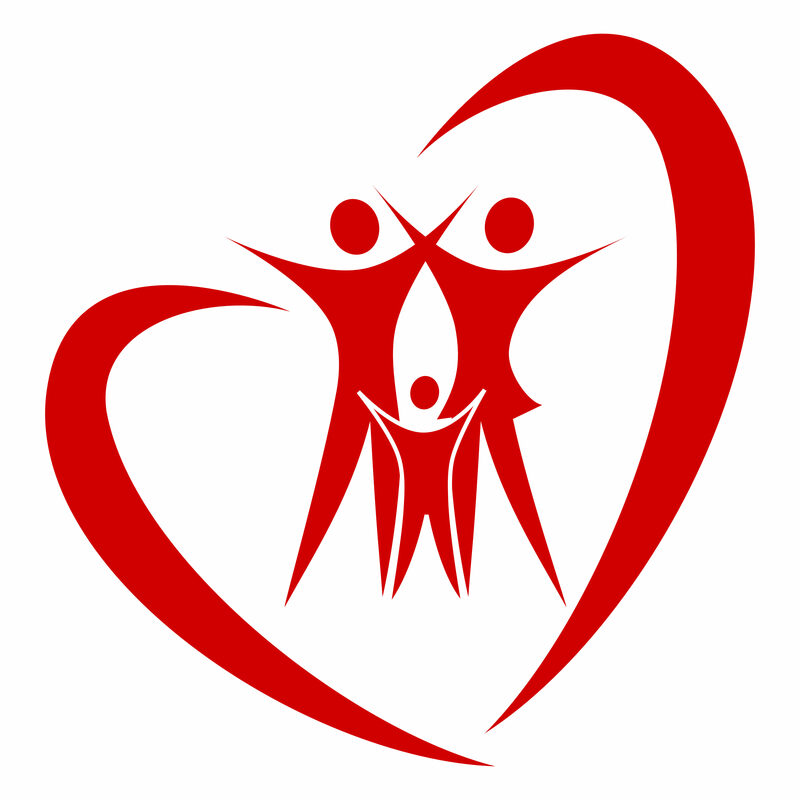 One private adoption agency I found to be excellent was Family Connections Christian Adoptions, which has many offices throughout California and can be reached at (209) 524-8844. The birth mother can place the baby directly with the adoptive parents at the hospital, so there is no foster care requirement. The birth mother can see the baby in the hospital as much, or as little as she desires, and can authorize the hospital to allow contact witth the adoptive parents as well. Many birth mothers even ask the adoptive mom to be her labor coach. Before the birth, the birth mother meets with a specially licensed counselor, called an Adoption Services Provider (ASP). The ASPs are in private practice and can be selected from a large state-approved list. The ASP usually meets with the birth mother once before the birth to review the adoption process and make sure she is fully informed about the adoptive parents she has selected. This meeting is called "The Advisement of Rights." The ASP can also provide counseling as well. Then, after the birth, the ASP visits the birth mother again, this time to sign her consent to adoption (actually two forms, the Adoption Placement Agreement and the Statement of Understanding). This is usually done a few days after birth and the baby is already living with the adoptive parents. The faster way is for the birth mother to sign a form called a Waiver of Right to Revoke Consent. This form makes her consent permanent at the end of the next business day. The Waiver of Right to Revoke Consent can be signed anytime after the Adoption Placement Agreement (even the same day), in the presence of the ASP, provided the birth mother has her own independent attorney (to make sure she understands the rights she is giving up). In my experience, the vast majority of birth mothers I work with elect to sign the Waiver of Right to Revoke Consent the same day as the Adoption Placement Agreement, which is usually just a few days after birth. Except in rare cases, a birth mother never needs to go to court. The adoptive parents usually only need to go once, which is when the adoption is finalized. This is a very casual proceeding, finalizing what was secure long before, with photos typically taken with the judge holding the baby, etc. A new birth certificate is created, naming the child as desired by the adoptive parents and naming them as biological parents. The original birth certificate, naming the birth mother, is then sealed. Birth fathers also have rights, but most are very supportive of adoption planning, or are apathetic and keep their distance from the entire process, likely due to the fact most adoption situations come out of unplanned pregnancies and these men have no desire to pay child support and the responsibilities of parenthood. Birth fathers rarely object, but when they do, they have certain rights, and those rights vary based upon their relationship with the birth mother and baby (ex. were they married, named on the birth certificate, et cetera). This is too complicated a subject to cover here. Adoptive parents are allowed by law to assist a birth mother with expenses related to the pregnancy and adoption. Expenses not related are illegal, however. Every dollar spend in an adoption is presented to the court in what is called the Adoption Expenses report. Normal expenses might include medical costs (although in my experience most birth mothers have insurance or have MediCal, or get it after starting the adoption process), and living costs. Living costs can include maternity clothes, rent, food, utilities, etc. Some birth mothers live at home, or have a job, and have no or few expenses. Others may have fallen on hard times and need help. If so, Randy makes sure all needed payments are made primarily through his attorney-client trust account, so there is a clear record for the court, and everyone is sure the laws are being followed. For those birth mothers needing assistance, it is typically the last couple of months of the pregnancy, and during her post-birth recovery time (usually about 6 weeks). Some adoptions are open and some are closed. Some birth mothers want to contact, some want pictures and letters several times a year, and a smaller number want to personally get together with you and the baby occasionally, often once a year. Randy's goal is to make sure both birth mother and adoptive parents want the same type of adoption, so everyone is content. Randy recommends only hiring an attorney who has extensive experience in adoption, not a mere family law lawyer, who usually focuses on divorce and child custody. Randy is a member of, and highly recommends, the Academy of California Adoption Lawyers. Adopting via an adoption agency is an option to independent adoption. Most of the above facts are also true for an agency adoption. There are a few differences, however. One is that an agency adoption requires that the adoptive parents have both a pre-placement and post-placement home study. (This is due to the fact that the agency is legally placing the child in the adoptive home so is legally responsible, whereas in an independent adoption the birth mother is directly making the placement.) Agency fees vary a great deal and you will have to contact them to see their fees. Some have fees slightly higher than SDSS and some are as high as $30,000, usually charging a large fee for their services in "matching with a birth mother," likely to cover their high advertising costs for internet exposure. Some agencies have restrictions on the adoptive parents they will accept, based upon age, religion, et cetera, but most have no such requirements. (In an independent adoption, there are no such age/religion limitations, just that the adoptive parents demonstrate they can provide a secure and loving home (and no problems arose from fingerprinting/child abuse registry). Be careful that you are actually contacting licensed adoption agencies. The phone book and internet are filled with businesses which sound like agencies, but are actually what are called facilitators. Facilitators may assist in finding a birth mother and related functions, but cannot legally do home studies, take relinquishments, write court reports or give legal advice. In many state facilitators are illegal (arranging adoptions for a fee), but in California they are permitted if they follow certain disclosure rules. In Randy's personal opinion, facilitators are not the best option in adoption planning. SDSS maintains a list of licensed adoption agencies. 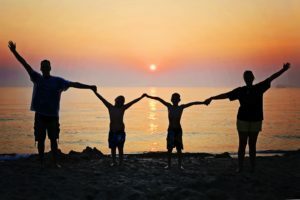 Randy has collaborated with many licensed SoCal adoption agencies, including but not limited to: Family Connections Christian Adoptions, Kinship Center; and Vista Del Mar (Los Angeles). Virtually all the adoptions done through county agencies are children removed from their homes due to neglect or improper parenting. These are the "waiting" children of adoption, and they number about half a million nationwide. Many county adoptions involve children with a special parenting need (older children, sibling groups, an emotional or physical hardship) or simply be of an ethnic minority. Occasionally, however, healthy newborns are placed for adoption via county agencies. Because there are never enough adoptive parents to meet the growing need of the waiting children in the county system, the services to the adoptive parents (home study, et cetera) are normally free , as the county underwrites the county social services system to aid the children waiting for homes there). Both county and private agencies have access to adoption registries. These are regional, state or nationwide databases of children awaiting homes. Some of the child can even be viewed online. Visit adoptUSkids.org. These registries open up adoption options for you far outside your own county, although most placements are local. You are additionally eligible for a federal Adoption Tax Credit as an adoptive parent, and it’s substantial. It may even pay for your entire adoption. 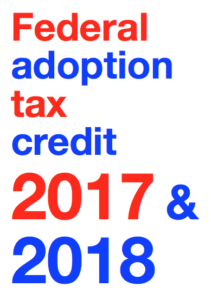 For adoptions finalized in 2017, if your modified adjusted gross income is $203,540 or less, you are eligible for a $13,570 tax credit per adopted child. (It’s per child, so this means a $27,140 tax credit for adopting two children, such as siblings or twins.) Your income can actually go up to $243,540, but the tax credit decreases proportionally when the income exceeds $203,540. Congress adjusts the tax credit for inflation each year and recently made it permanent. The tax credit for 2018 has not yet been determined by Congress. Be aware that a credit is much better than a mere deduction. An example of a deduction would be the interest payment on your home mortgage. The interest is deducted from your gross income, reducing the net income on which you pay taxes. A credit is a dollar for dollar elimination of taxes owed, like giving you back up to $13,570. If you can’t use the full credit in the year in which you adopt because you don’t have that much tax liability, it can be carried over for up to five years until fully used. In both domestic and international adoptions, the credit is only for actual expenses you incurred. These adoption expenses can include: attorney fees, agency fees, court costs, travel expenses and any expenses directly related and necessary for the adoption. Here are some examples. If your adoption only cost $5,500, you could only claim a tax credit of that amount. If you adopted a single child and your expenses were $18,000, you could claim the full $13,570 credit, but would not be able to claim it for the amount in excess. A limitation is if your have a special employer adoption program that reimburses you for some of your adoption expenses. You can’t “double up” and claim those expenses if your employer is paying them for you. The tax credit also exists in special-needs adoptions. There is one huge difference, however. If the child is designated as “special needs” (your agency can tell you if they have been or not) the $13,570 credit stays the same, but you don’t need to show that you actually incurred any expenses.So if your special-needs adoption cost $0 (since almost everything is provided free, or you paid but were reimbursed), you are still eligible for the $13,570 tax credit. Use IRS form 8839 “Qualified Adoption Expenses” to claim the credit. It is a little complicated when you take the credit. In a domestic (not international) adoption, you claim the adoption tax credit in the year after you incurred the expenses. However, if you finalize the adoption in the same year you incurred the expenses, you claim the adoption tax credit in that year. If you incur expenses in the year after the adoption is finalized, you may take the tax credit in the year you incurred the expenses. International adoptions are a little different. In those, you take the credit only after the adoption is finalized. Tax issues are complicated, so every adoptive parent should consult a tax professional. The above information may seem like a lot to learn, and it is. But actually, it is really just the tip of the iceberg when it comes to understanding how adoption works, and how to have a successful one. You cannot rely upon this limited information as it is not complete enough to apply to all situations. There are exceptions and potential legal complications too complex to present in this limited format here (the Indian Child Welfare Act, the Interstate Compact for the Placement of Children, relative adoptions, birth father notice and objections, et cetera). Randy's initial consultation with adoptive parents typically takes 2 hours to fully review adoption. Consult with an adoption attorney or licensed adoption agency before you start an adoption. Sadly, getting helpful information about adoption can be hard, as most is mainly promotional. The above information has been provided by adoption attorney, Randall Hicks, and you are welcome to share it with others to help them learn how to plan a safe, affordable and ethical adoption. If you are seeking to know more about step parenting, an excellent website reviewing many stepparent books is StepparentBooks.com.